Rockville is a charming city of about 60,000 located just north of Bethesda, MD. A perfect city for families, this town is famous for it’s incredible city center with over 50 shops and restaurants just in the historic Rockville town square. Rockville is a beautiful place, with easy access to the Metro MARC and Capitol Limited for convenience in commuting. 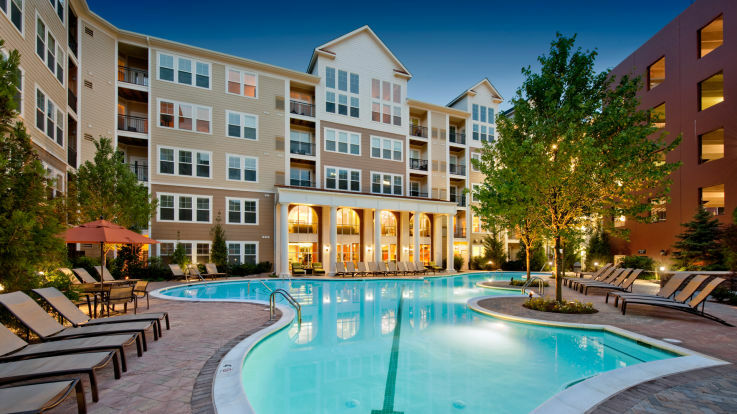 Our Rockville apartment communities near the metro are filled with great amenities that include an outdoor pool with a lovely lazy river, in-home washer and dryers, and a 24 hour state-of-the-art fitness center. Our incredible Rockville apartments are the unique and beautiful living experience that you’ve been waiting for. Let’s get together and get you the apartment you’ve been dreaming of.